Our best laid plans are sometimes meant to go wrong for a reason. When Mark broke his toe on New Years Day, I was pretty disappointed as we'd planned to walk the Tongariro Crossing at the end of the month. 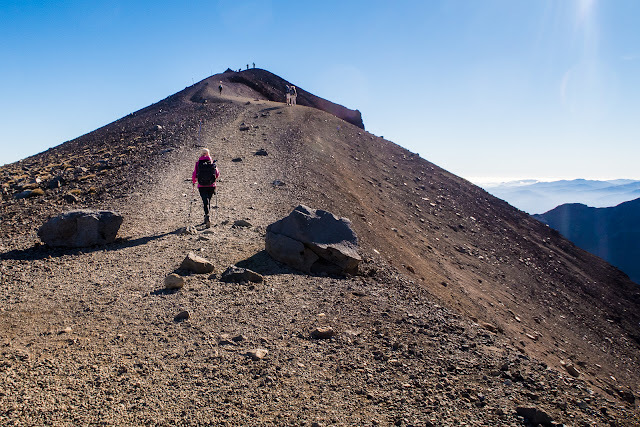 Doctors orders were to stay off his foot as much as possible for a month so that was that. 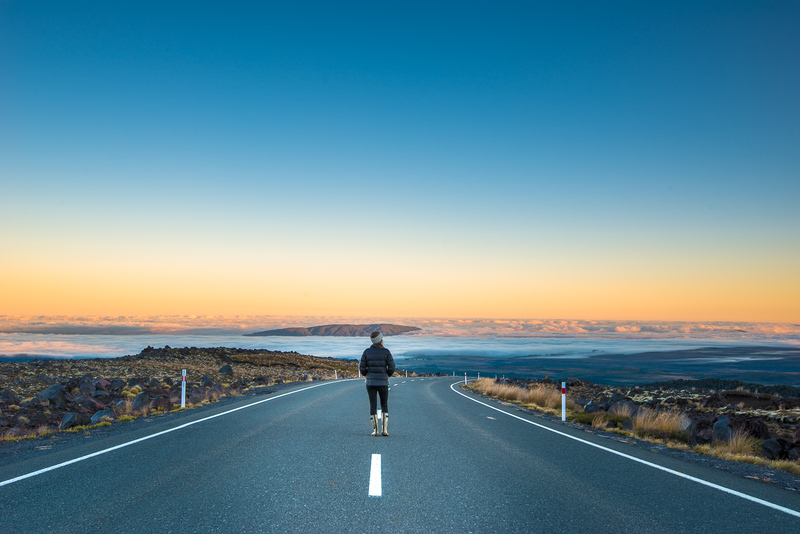 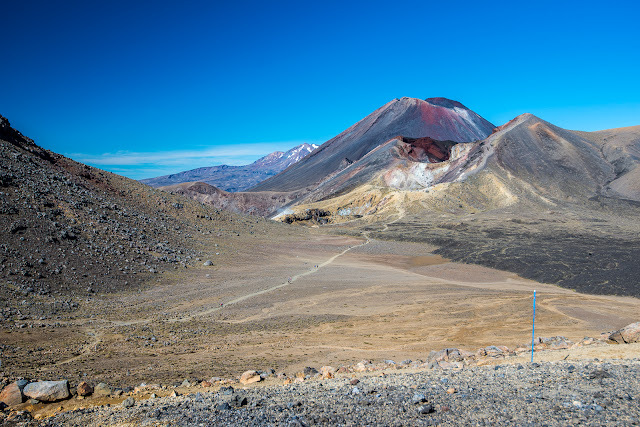 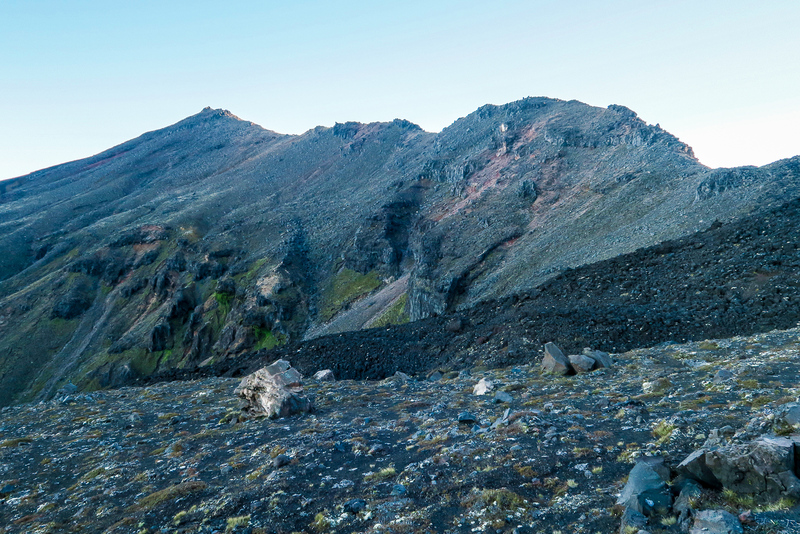 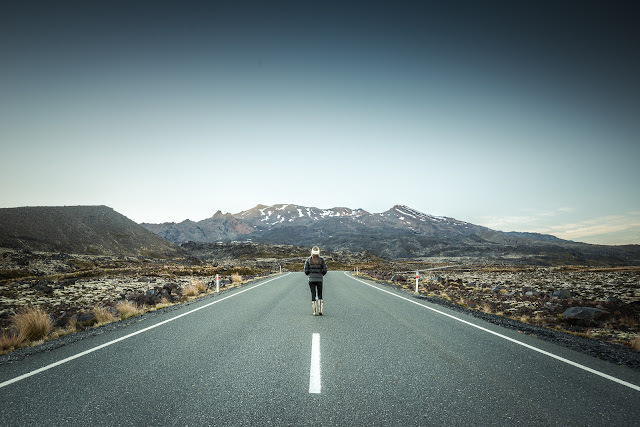 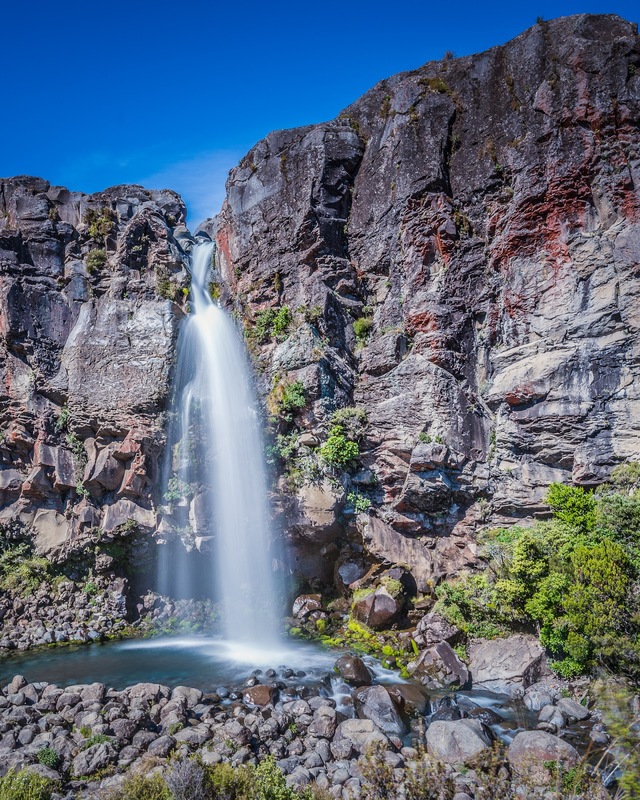 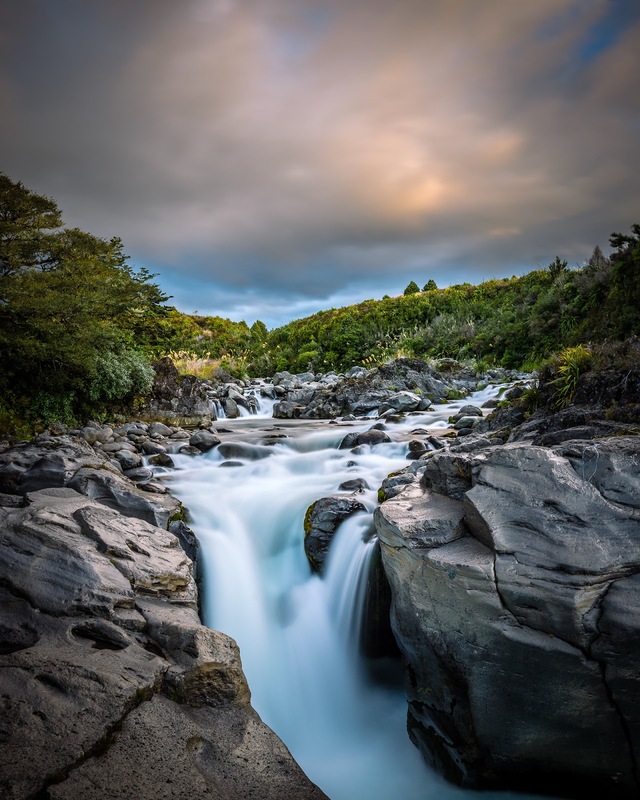 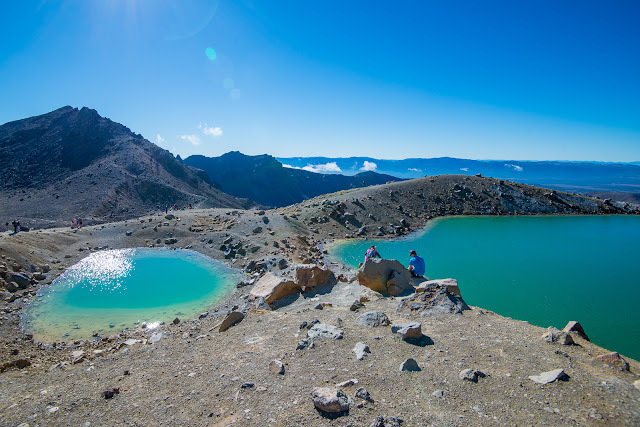 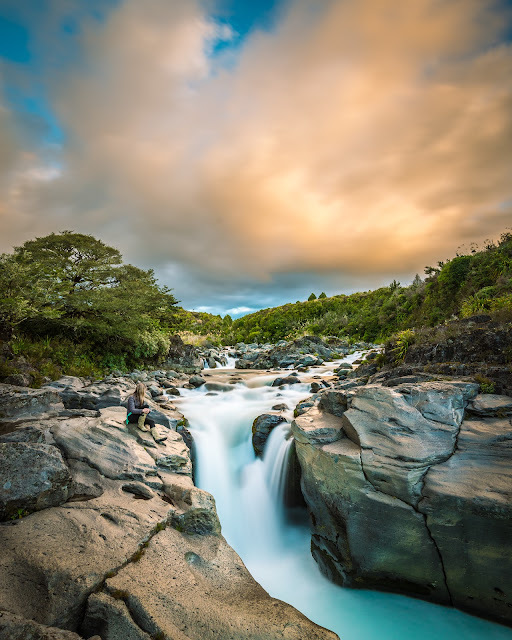 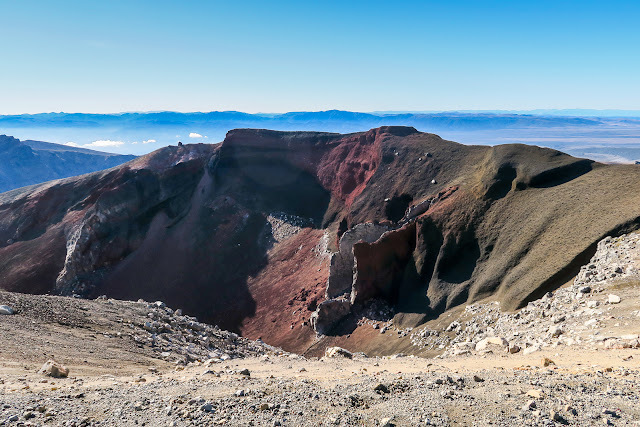 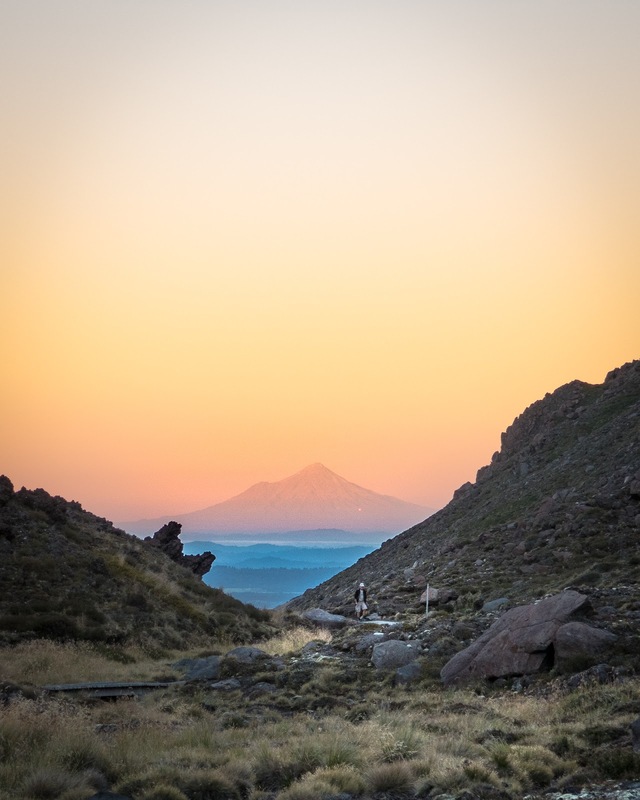 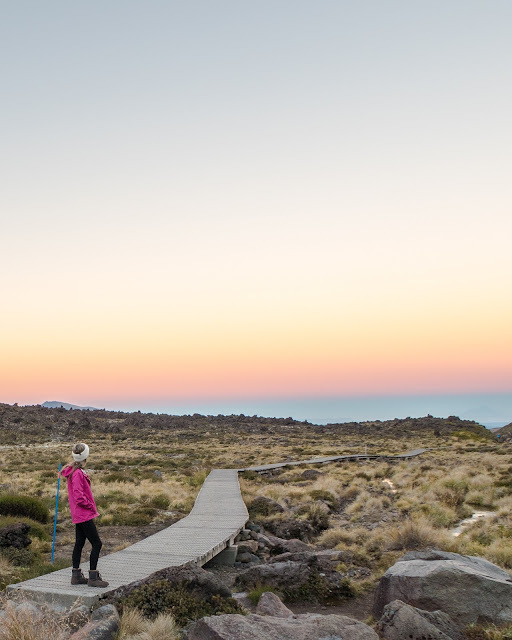 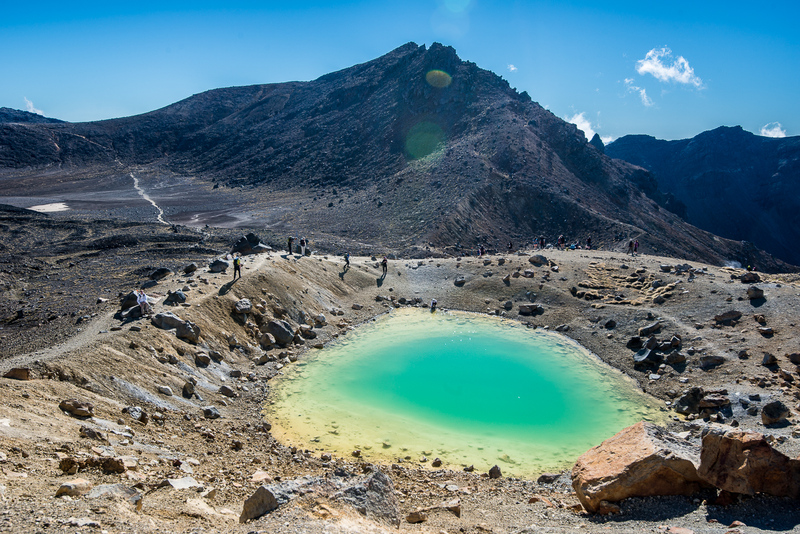 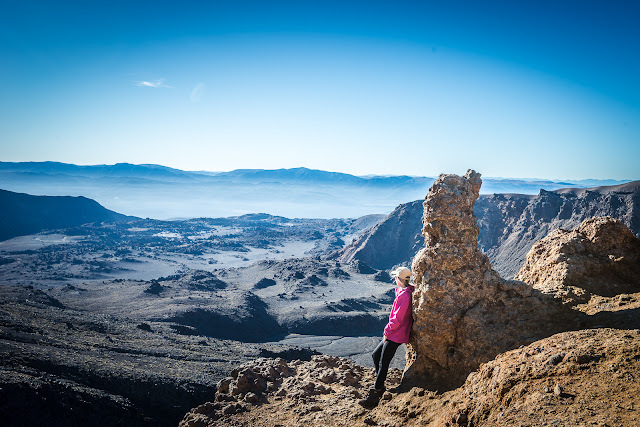 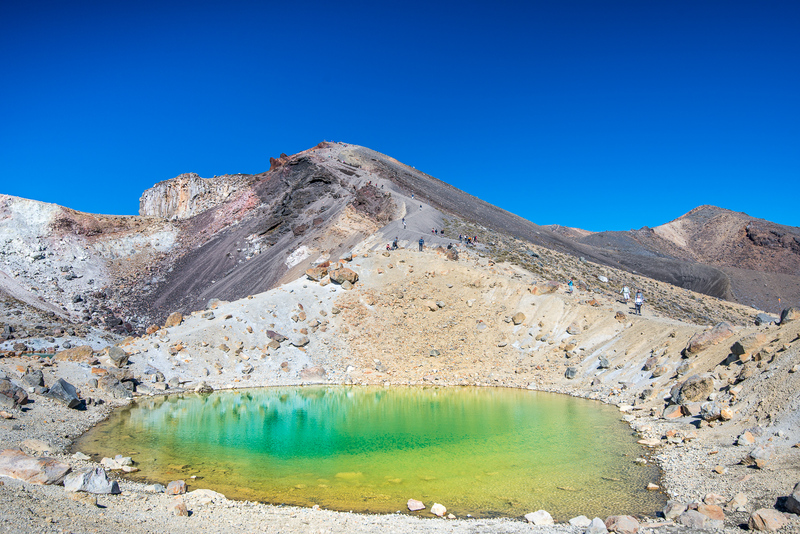 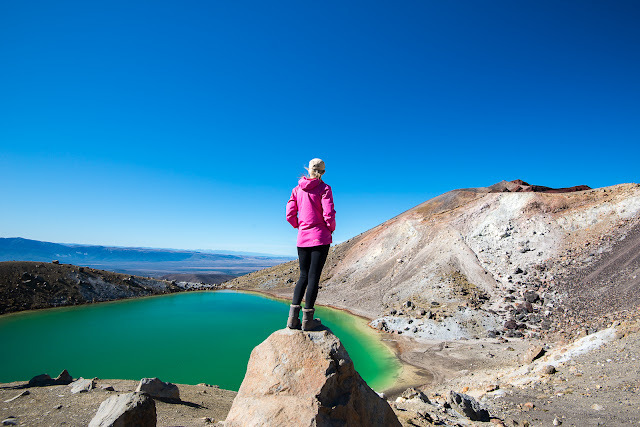 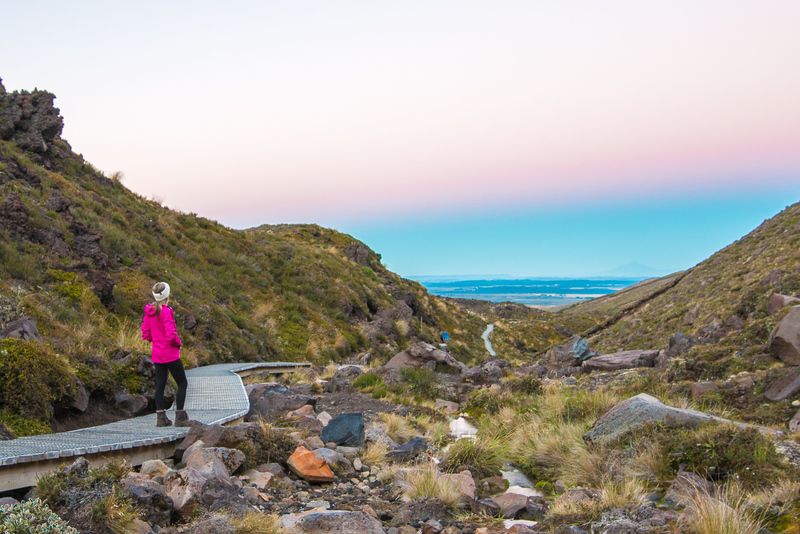 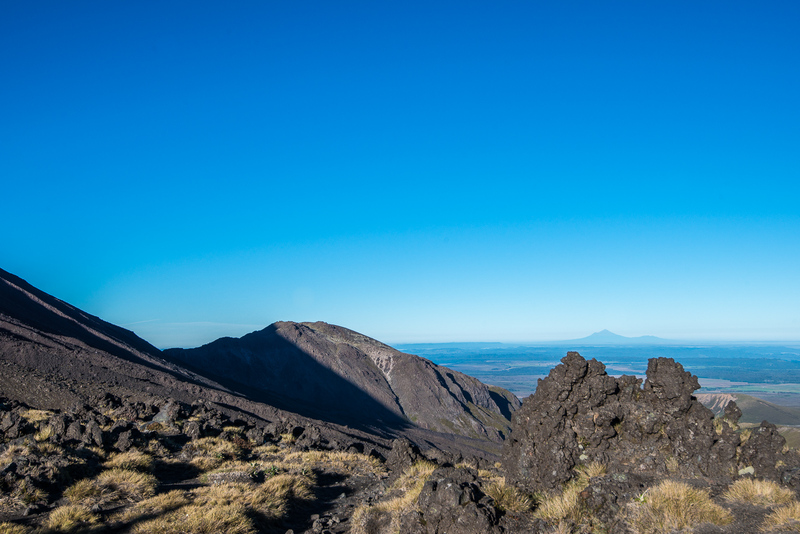 When Visit Ruapehu contacted me in early February asking whether I would be interested in taking some images on the Crossing, I jumped at the chance to make this 20km hike a reality again. 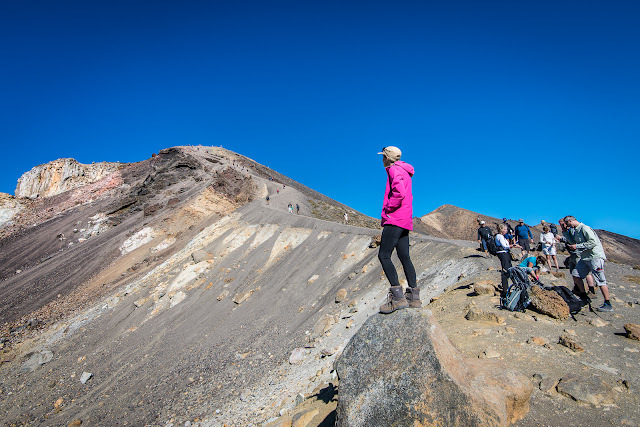 We settled on the weekend of 25-26 February to do the hike and began praying like mad for good weather - this summer had been so darn changeable that anything was possible. Early on in the week it had looked somewhat showery but I kept hoping that it would turn out better than we hoped. 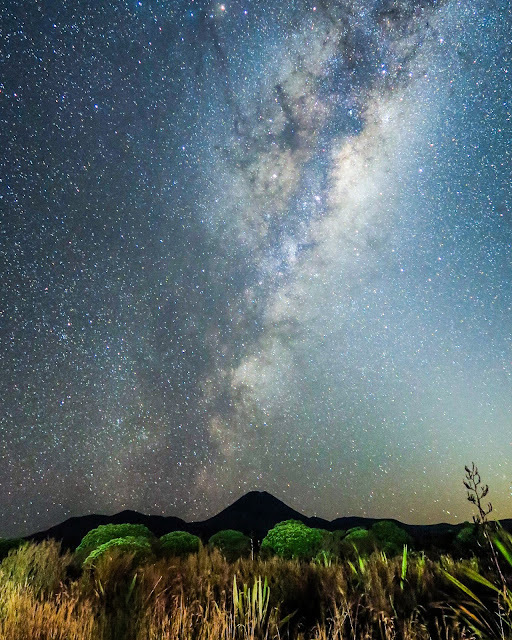 I consoled myself with the thought that a 4.30am start might instead prove fruitful if clear skies delivered up the Milky Way. After packing our bags ready for the hike, I was a wee bit concerned at the weight of them. 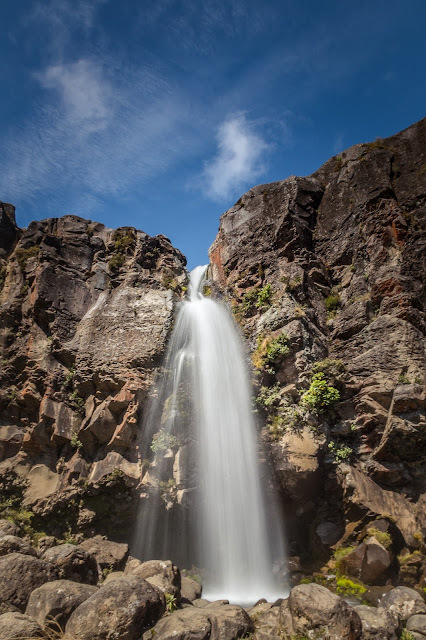 I had all the camera gear and tripod in my bag which left poor Mark with 4 litres of water to carry plus all our food. We'd sure be making heavy work of this hike! 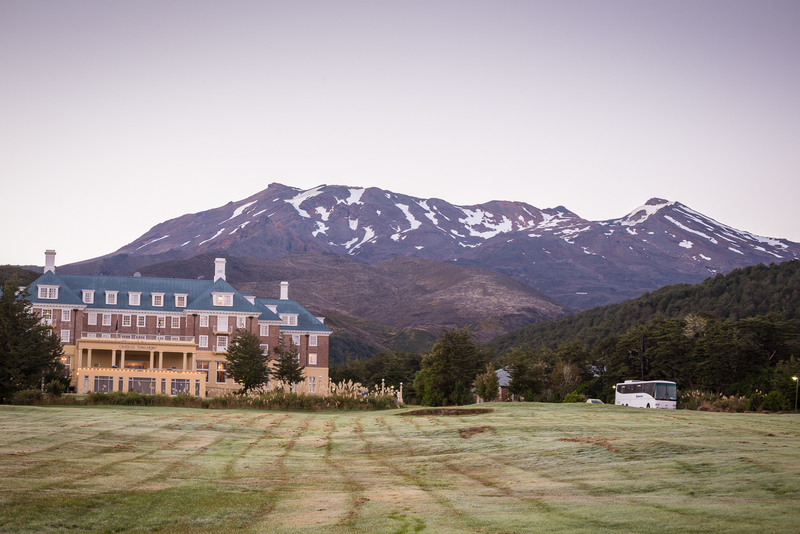 The alarm went off at 4.15am and I quietly crept out of the cabin with camera and tripod in tow and headed out to the main State Highway 47, the road on which Discovery Lodge is based. On my way along the driveway, I saw a shooting star fall out of the sky before me - no matter how many times I see one I always get such an electric jolt of thrill. By 7.30am we'd reached the LAST toilet stop for four hours at the end of Soda Springs and decided we'd better make use of it although making a toilet stop on this hike is not for the faint of heart. 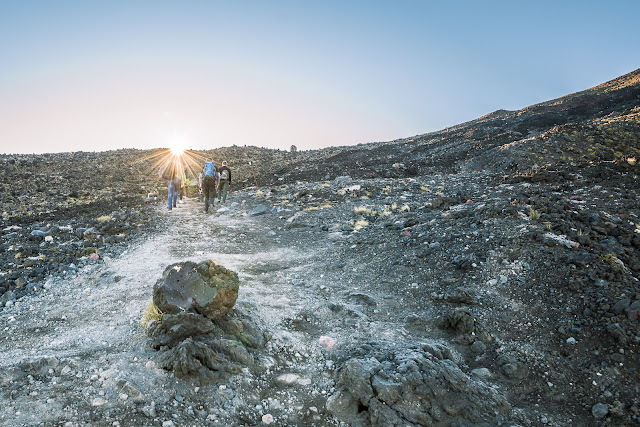 The smell reaches you long before you even reach the toilet but then you can't expect much more when thousands of people are using a very limited number of toilets every day. Bananas were consumed for breakfast as we began the steepest part of the day so far, the climb up to South Crater through the Mangatepopo Saddle on the Devils Staircase - sounds appealing doesn't it?! This section of the track takes you up 200 metres in a relatively short time so it's a matter of slogging it out with frequent stops to admire the views of Mount Taranaki off in the distance (otherwise known as surreptitiously catching one's breath). 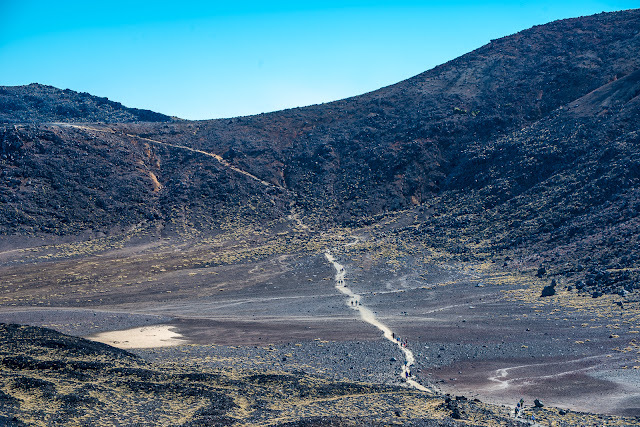 We were lucky to be climbing this part of the walk in the shade so it was still relatively cool and the sun only really hit us when we reached the top of the saddle. 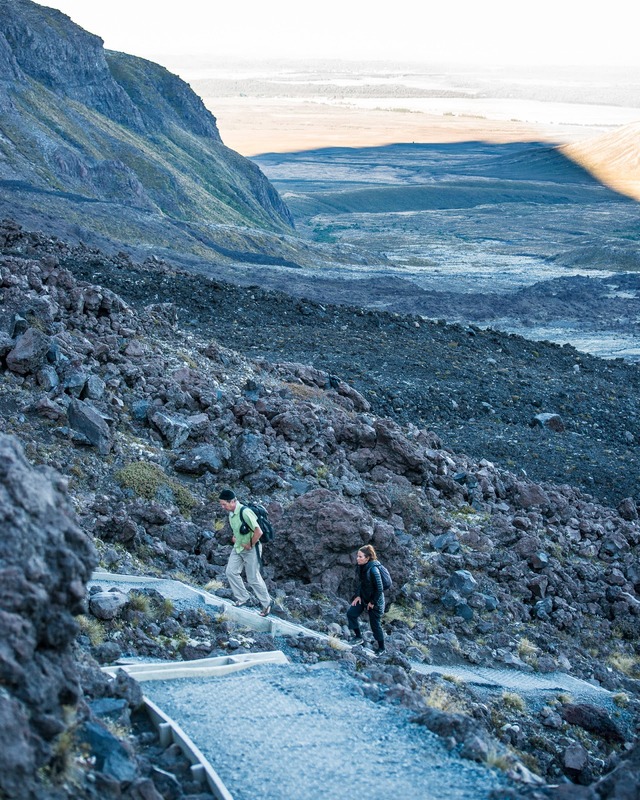 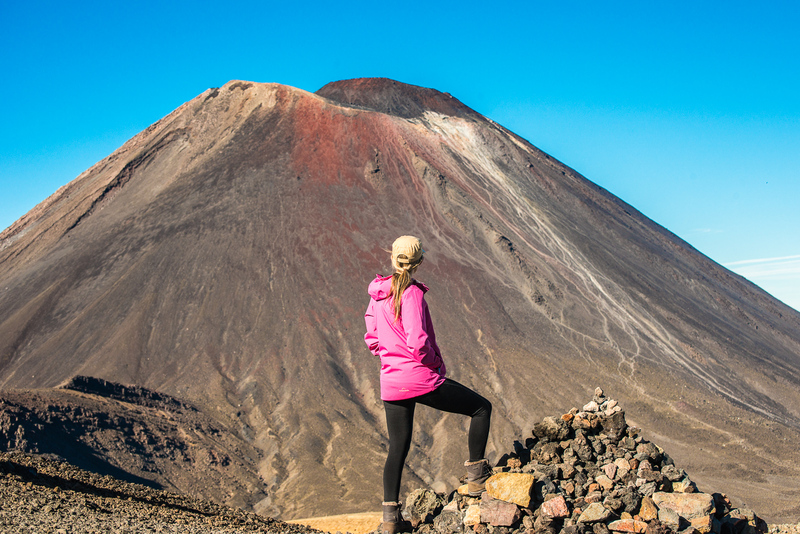 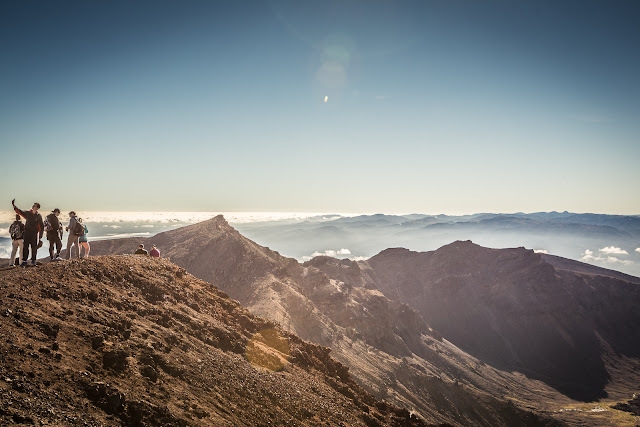 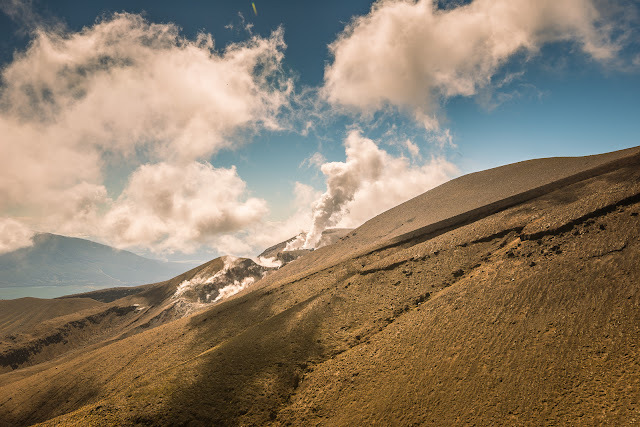 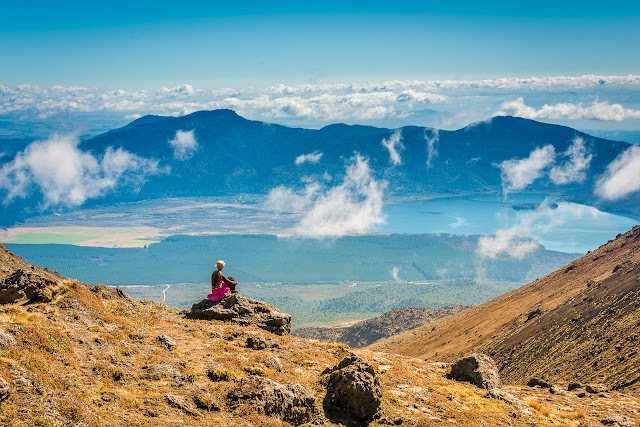 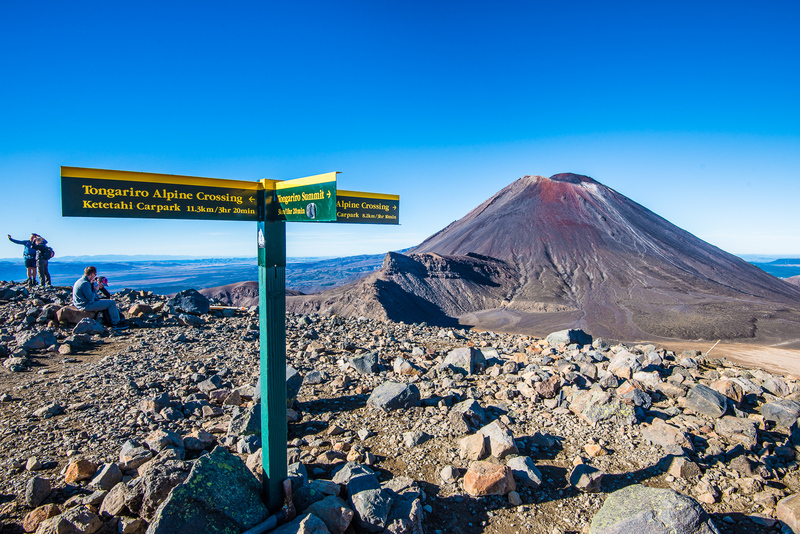 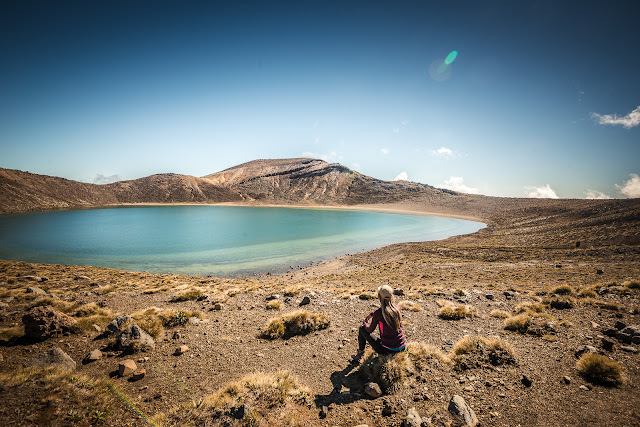 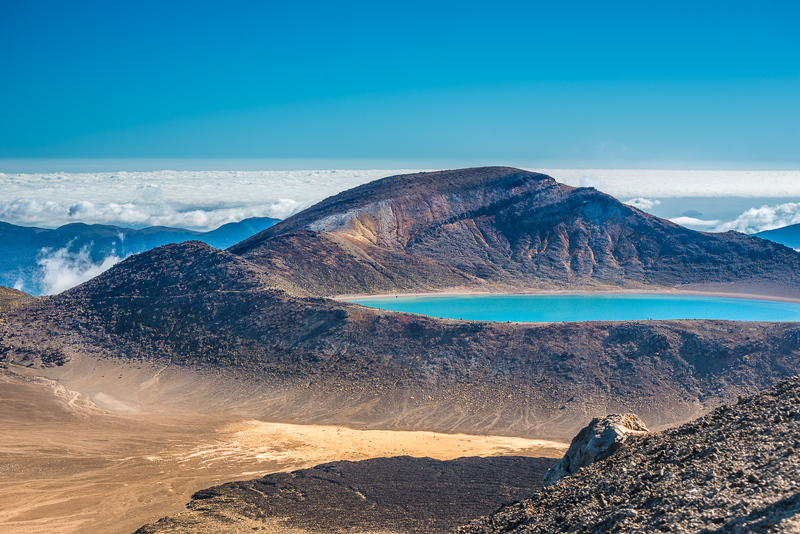 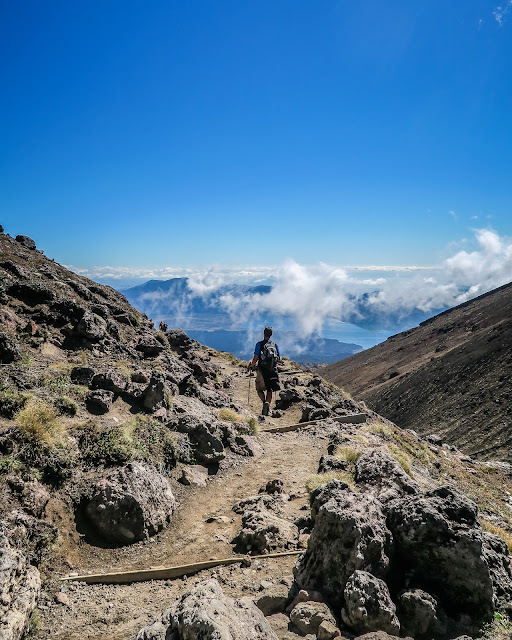 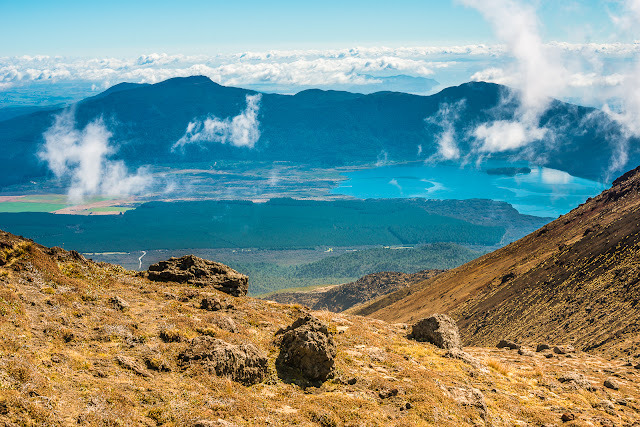 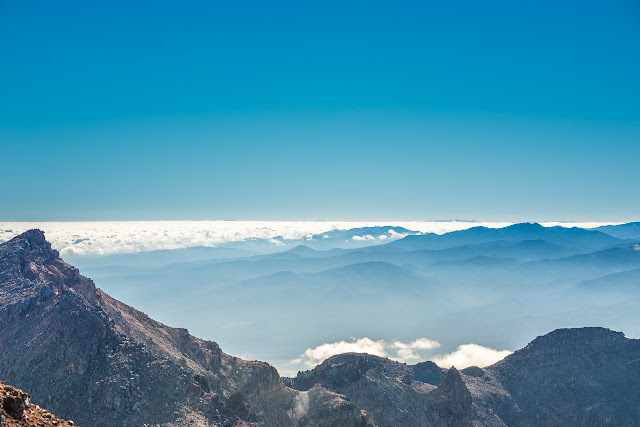 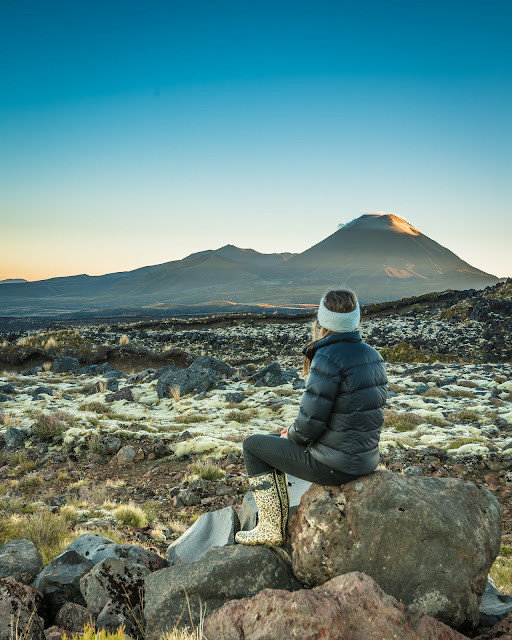 From the saddle, those with the keenest sense of adventure and fitness can take a detour up to climb Mt Nguaruhoe (an extra 3 hour return journey on an already long day). I'd climbed Nguaruhoe back in high school and had no great desire to repeat the experience as I remember well the VERY steep scoria slide all the way down being very hard on the knees. 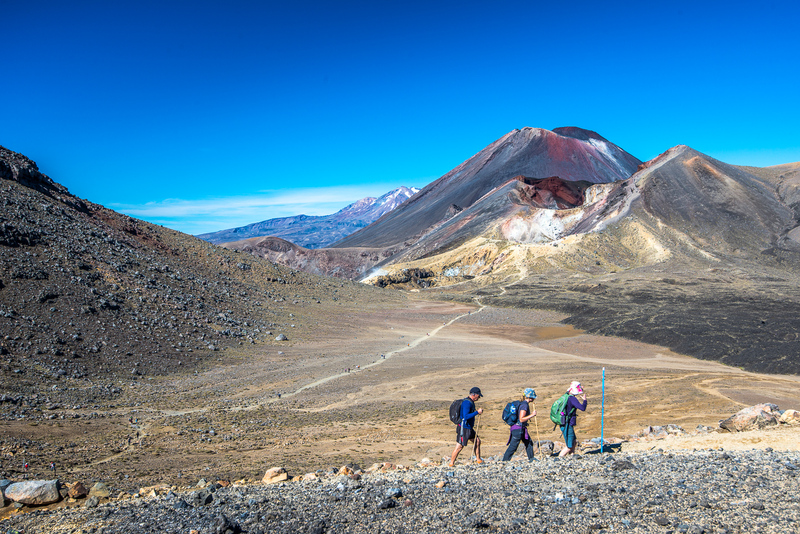 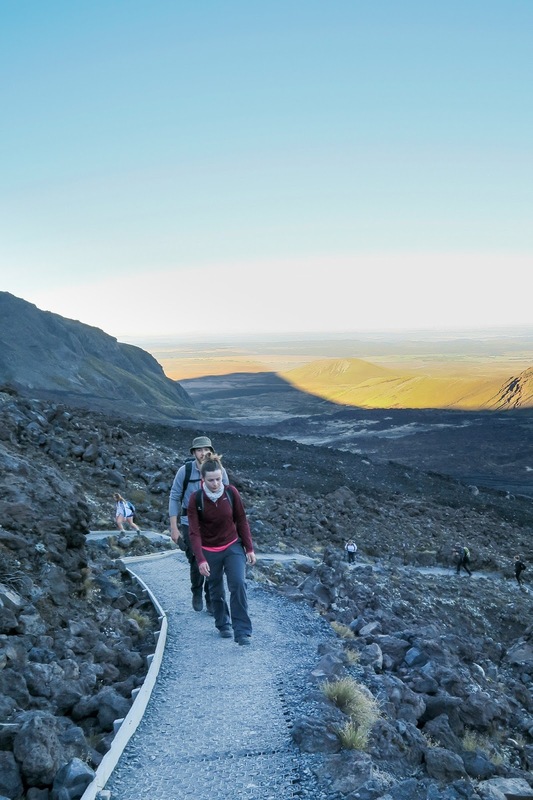 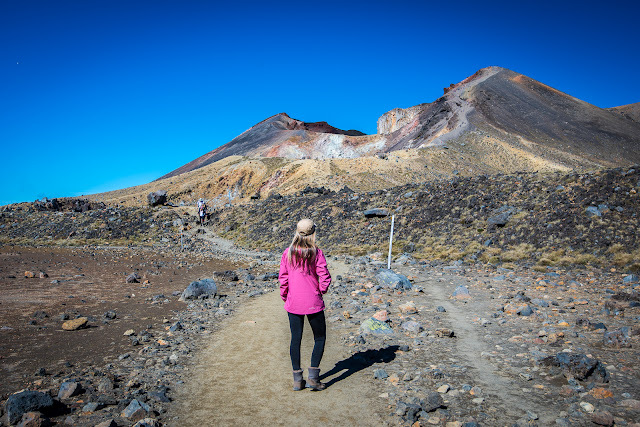 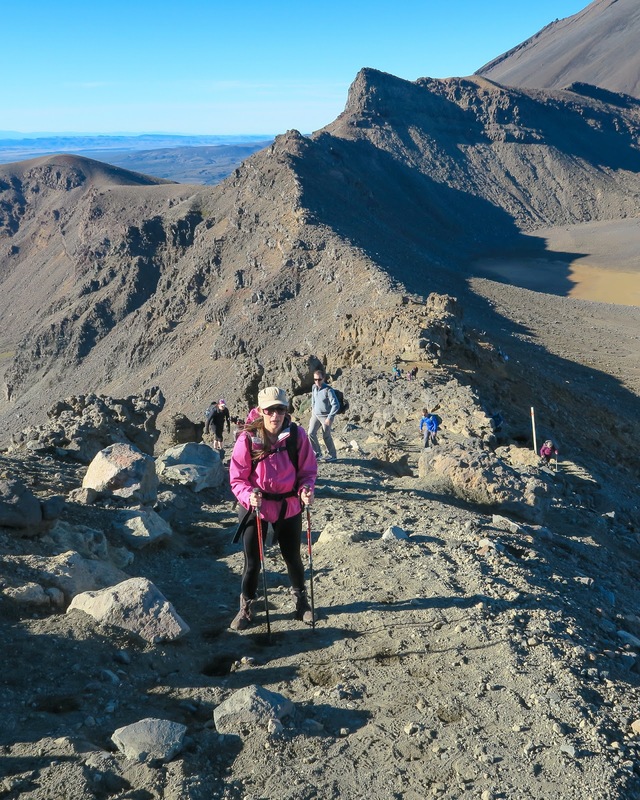 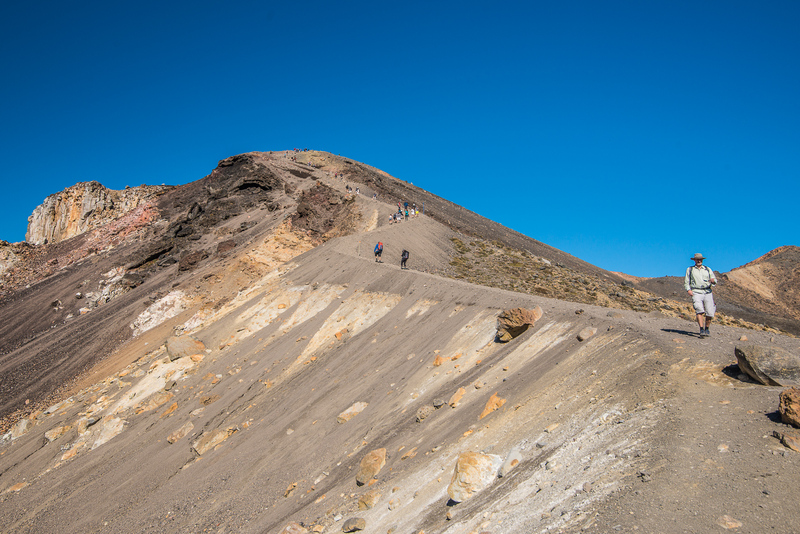 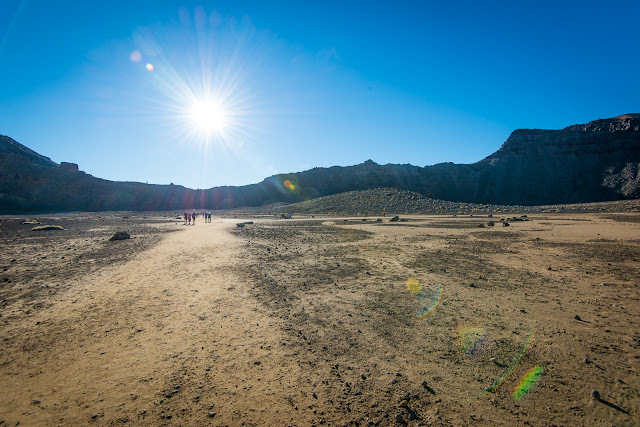 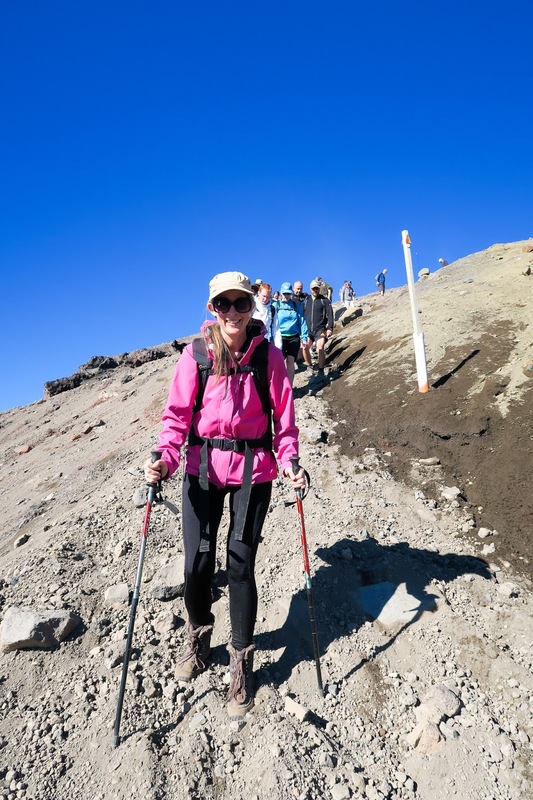 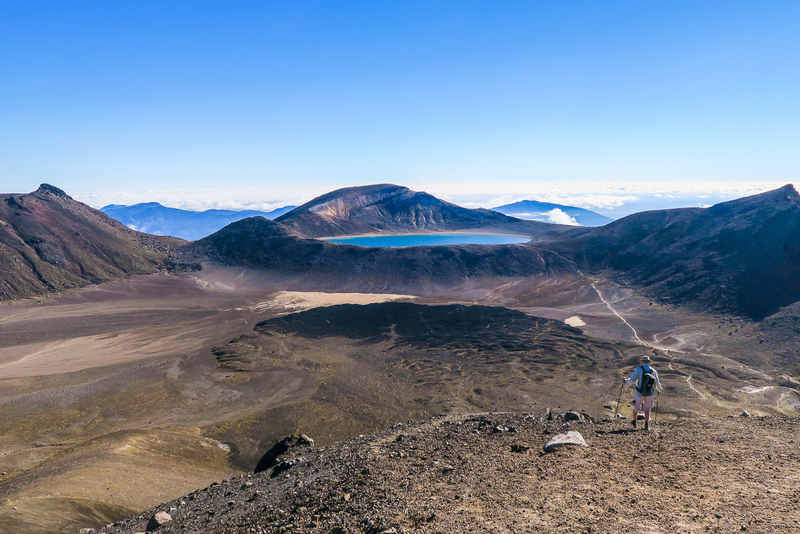 Once we reached South Crater, it was a really pleasant change to amble through a completely flat section for a good 15 minutes and plenty of time to admire Mt Doom (Nguaruhoe) - this was as close as we would ever get to it on the Crossing. 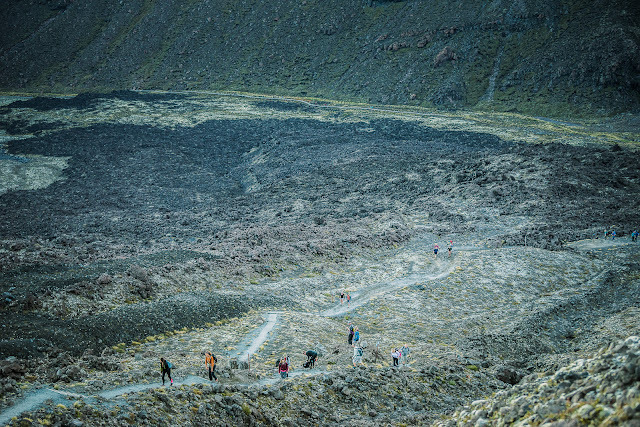 After 20 minutes or so we were down at the Lakes, and looking back up the ridge it was incredible to think we'd just walked down it, it seemed SO steep. Everyone who walked past us was saying the same... 'wow did we just come down that?!'. 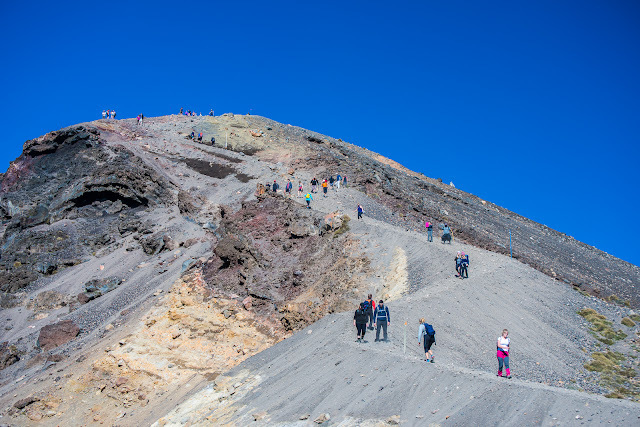 Despite the fact we walked on a day where there were probably a couple of thousand others also doing the track it never felt like it was ridiculously busy which is the impression I'd been given by others. 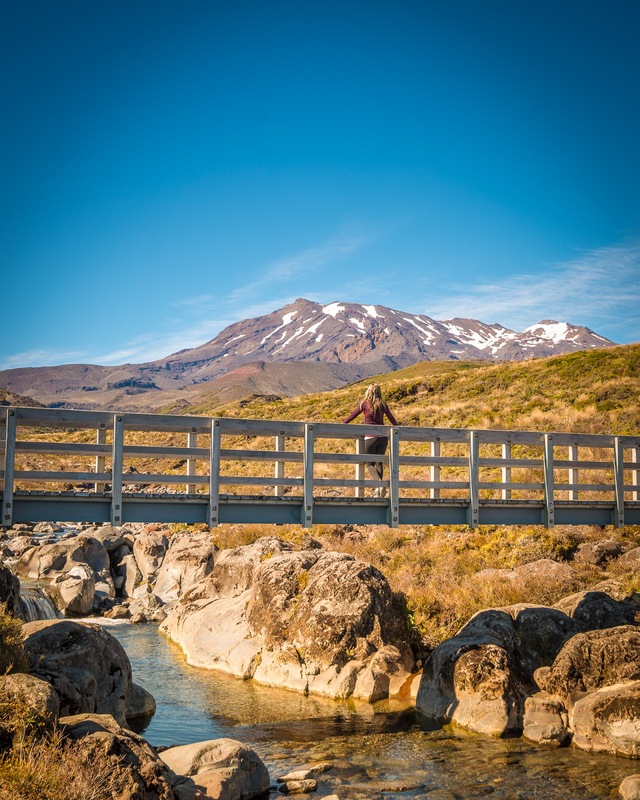 20km of track is a lot of space and for the most part it seemed to be just Mark and me in our own little world enjoying some of the best scenery that NZ could possibly offer on a bluebird day. 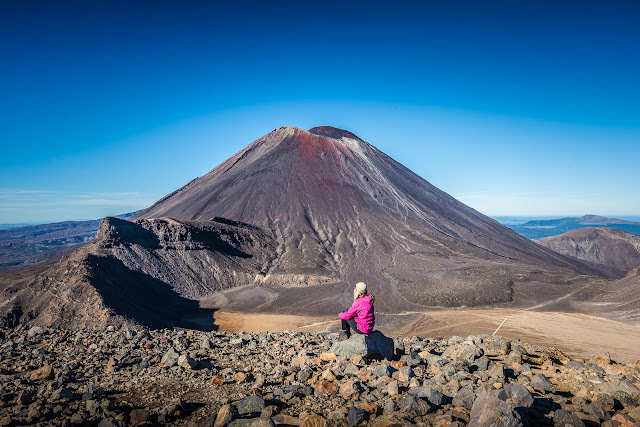 It is an amazing experience and one I'd do again in a heartbeat - but perhaps with just one little camera and not 10kg of gear on my back next time. 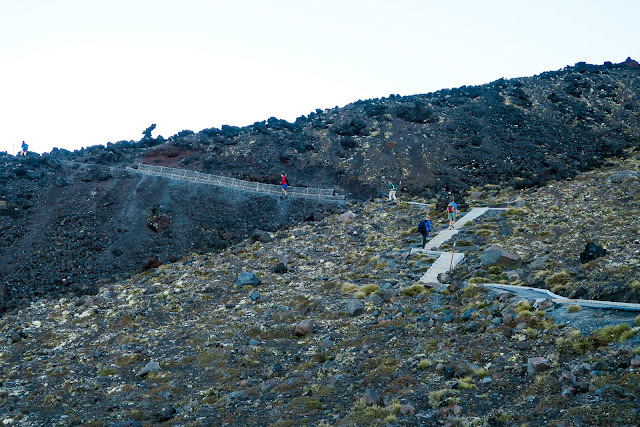 And the sign of a highly successful trip? We loved it so much we are both keen to do another one of NZ's other Great Walks - perhaps a multi-day hike next year sometime. The main DOC track information page is a good starting point, and there's even a Pocket Ranger app you can download here which has lots of useful information on it to keep handy to you on the day. 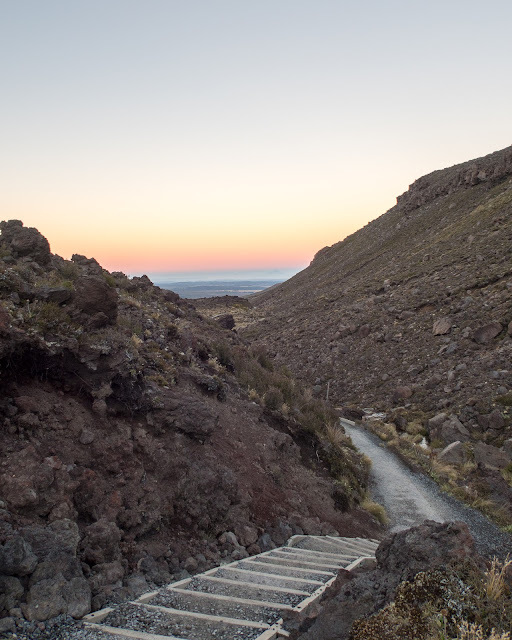 There are also several shuttle companies who will take you from one car park to the other or both from about $20 one way, we paid $35 each return from the lodge which meant we didn't have to worry about taking our car up the gravel track to the start at Mangatepopo.